Wow. This is starting to feel a bit like work now. I think because Book 11 was quite long and it’s been ages since we started out on this crazy journey, last week was a tricky one to get through. I’m still enjoying parts of War and Peace but please, PLEASE Tolstoy, stop with the chapter long analogies. You might well think that the abandonment of Moscow was like bees leaving a hive but a brief paragraph will serve perfectly well enough to make your point. And what was THIS all about?! What?! That’s nonsense. Stop it and get on with the story. 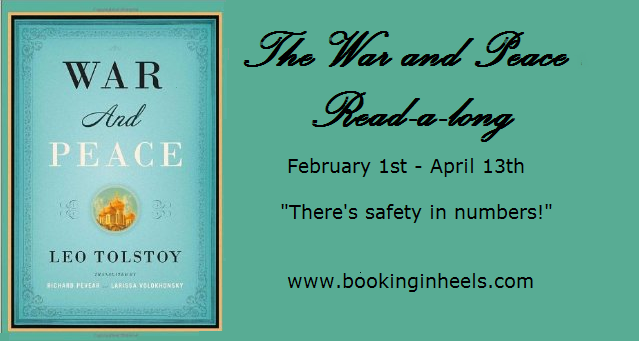 1) What’s the first thing you’re going to read when you’ve finished War and Peace? Something SHORT. And light. Without rambling paragraphs about Achilles and tortoises. Actually, I think I might go for something by Agatha Christie or some other fun mystery. I’ve been craving The Great Hunt, which is next up in my Wheel of Time re-read but I don’t think I can bear another super long book straight off the back of this one. So I’m going to go for a couple of quick fixes and THEN The Great Hunt. The prospect makes me a little giddy! 2) Do you think the Russians were right in abandoning Moscow or should they have stayed and fought? If I was understanding Tolstoy’s opinion on the matter through the ramblings, if the Russians hadn’t left Moscow, their army would have been destroyed and they would have lost everything. I don’t know if that’s true. If it was true, I don’t blame them and I think they made the right choice. If that’s just Tolstoy putting a “positive” slant on his country’s own history, my gut reaction was that they should have at least tried to save the city and the people in it. Oh, and wasn’t the paragraph where the mob killed the “traitor” appalling?! Excellent work on accurately portraying mob mentality but so grim. Disgusting work from Count Rostopchin (or whatever his name is…). 3) What about Andrew/Andrey/Whoever? Do you think he’s changed as a character? I love the development of his character. He started out being an arrogant arse who was awful to his wife and was generally smarming his way through life. Him falling in love with Natasha and his epiphany when he was in a tent wounded about generally changing his perspective has really softened my feelings toward him. I hadn’t realised just how much Tolstoy was subtly tweaking and growing his characters until that scene where Andrew was holding Natasha’s hand in the dark. I’m not sure whether I want Andrew to work things out with Natasha, though, because I’d rather that Princess Mary got to marry Nicholas. I so badly want things to work out for him (and I never thought I’d say that). Just a nice quiet retirement with his son would be just the ticket. Oh also, it was remembering how long ago it feels since She of the Downy Lip died that made me realise just how long this book really is. 4) Let’s talk about dream casting. Which actor/actress would you envision playing Pierre and Natasha if they made a new film version of War and Peace? Haha – brilliant question! I don’t know if Natasha is actually dark haired (I seem to remember that actually she isn’t…) but in my head, she looks sort of like Keira Knightley. And I can easily imagine Keira Knightley doing all of the stamping around and screeching/whining at people about their approach to boxing up plates. Pierre is more tricky. I can’t seem to get a handle on how Tolstoy thinks he looks physically. I get that he’s stout (because that’s all people seem to say about him) and not particularly handsome but not much else. 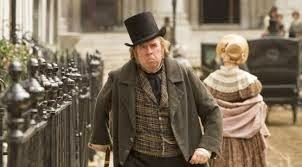 Timothy Spall, maybe? Actually, the more I think about it, the more I agree with myself. This week’s reading seems shortish and we’re SO NEARLY THERE! We’ve got this.